• Staff spends too much time inputting orders and cannot focus on customers. • Order errors due to complex order screens or inadequate modifier options. • Payment processing is too time consuming. • Incomplete and/or inadequate management reporting capabilities. SunPOS can help decrease the occurence of these factors. Our system is designed to help all levels of staff increase productivity and efficiency, saving you money and increasing your revenue. At SunPOS, we understand that every business is different. Your needs may be different than other establishments. We can design, develop and customize a project that meets the immediate & long term needs of your business. We know how important your business is to you. We want to help you succeed. 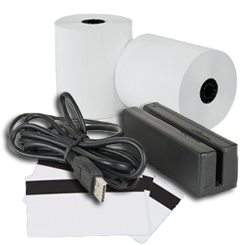 Purchase the Sun POS system and let us start working for you today.